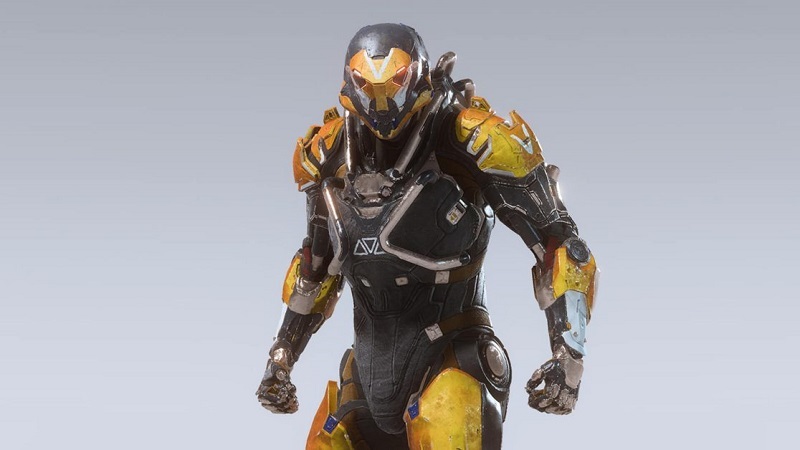 The Ranger Class perhaps is the most fascinating Javelins of all four available in Anthem. To term it as a multi-purpose javelin who can quickly turn the battle around is Ranger’s special ability. It may not be the most fanciest or the most agile of the group but what it lacks in elemental based attacks or mobility, it makes up for it in it’s ability to swiftly change it’s battle technique. The Ranger will certainly be one of the most used Javelins of all and anyone who starts playing Anthem had this Javelin to use by default. It gives you an all round performance by being the second best at everything the other Javelins exceed but this ability of in the hands of a master pilot can be used to devastating effect. As I started playing Anthem more and more, I unlocked all the others but something about Ranger kept me pulling back to play with it. I wasn’t done in no way even after playing continuously for more than 5 hours at a stretch. No matter what the enemy attacked us with, this Javelin had the answer for almost all of it. It could fight, fly, melee attack and looks one of the coolest armor you can possess in the game. You can use the Ranger to fit appropriately as the team needs. It is as good of a javelin to focus on a group of targets or go to crazy on a single one. There are a range of guns available for your Javelin and the ones that for me suited the most were the Defender and the Scout, I found defender one of the most versatile guns ever in any game. Though it does not boast of a heavy damage it can stun your smaller enemies and stop them in their tracks, with a high RPM and low recoil it is one of the best gun. The Scout was the secondary gun I preferred and I wish I found this gun much earlier than I did because it is an eye opener. The gun marvels at long range and you can rest be sure it will find it’s target. It does not have a huge clip like the Defender but has a higher damage when compared and these two guns make the combination. The Ranger deals heavy damages with it’s missiles and a projectile bomb which does area-focused damage but if used on a single target will definitely do you and your team a lot of good. The ultimate attack of Ranger is probably what makes it look eerily similar to Tony Stark’s Mark II suit which had a Multi-Missile attack too. Use this for the bigger bosses in the game and you will surely get the upper hand in any battle. Flight capabilities of this Ranger can be used to avoid incoming attacks as well as to quickly get out of a squirmish and regain your health and shield which hardly takes anytime. In the game you will most certainly will be swarmed by enemies locking no to your position and trying to hide behind a wall or a rock will provide you cover for only so long. Use this moment to swiftly change your position or fly out of a heavy attack and there’s a low chance the enemy will be able to keep track of your movements. Deal electrical damage up close or deliver an area-of-effect blast if you melee while flying. Fire many small tracking rockets at once. Capable of wrecking large groups of small targets or focusing entirely on a single large target. The Ranger is your true all-purpose Javelin. More than any other, your playstyle is up to you and isn’t determined by the Javelin you choose. As long as you’re diligent and flexible with how you play, the Ranger can be a powerful tool for you and your allies. Which is your favorite Javelin in Anthem? Check our other Guides for Anthem Secrets, Tricks and Tips.